In My Vietnam, chef, television star, and best-selling author Luke Nguyen returns home to discover the best of regional Vietnamese cooking. 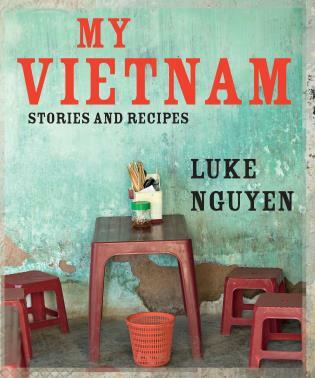 Starting in the north and ending in the south, Luke visits family and friends in all the country’s diverse regions, is invited into the homes of local Vietnamese families, and meets food experts and local cooks to learn more about one of the richest, most diverse cuisines in the world. Savor more than 100 regional and family recipes—from Tamarind Broth with Beef and Water Spinach to Wok-tossed Crab in Sate Sauce—and enjoy vibrant, stunning full-color photographs bursting with color and textures and capturing the beauty of Vietnam, her people, and their deep connection to food.